TOMI can help knock strokes off your game. 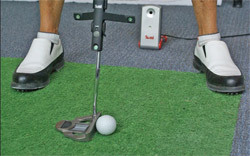 Golfers of all skill levels can now benefit from a fine-tuning of their game with the high-tech TOMI putting instruction device and the K-VEST swing improvement apparatus at The Village Golf Shop. TOMI, which stands for Total Optimal Motion Instructor, is brand new technology and already has received rave reviews nationally from top golf instructors and players over the past several months. Hampton Hall Veterans Week Celebration November 10-14. The Hampton Hall Men’s Golf Society will honor men and women in uniform Nov. 10-14 with a free round of golf at the Hampton Hall Golf Club. The society is pleased to invite all active duty and retired military personnel to a round of golf with complimentary greens fees at the prestigious Pete Dye Golf Course at Hampton Hall. There will be a $20 cart fee. Military identification will be required. Space is limited; 240 rounds are available. New regs aimed at reducing ratings appeals. Team captains, hold your collective breaths. It’s year-end ratings time, and this year they mean business on a new level. “Benchmark” players who are bumped up a rating won’t be allowed to appeal for one year - a “benchmark” being anyone on a team advancing to 2008 State Championships. Also new: the ‘08 year-end ratings will reflect, among other things, fall ’08 Super Senior results. Outsiders may see the game of croquet as an old-fashioned sport, something from a black-and-white movie on TMC, according to Otto Wahlrab, the South Carolina liason for the United States Croquet Association. But for serious players, picking up a three-pound mallet and whacking a ball through a metal wicket is as competitive as it gets. Wahlrab and about 60 other croquet players will compete in the Coastal Croquet Clubs’ (CCC) Sixth Annual Fall Invitational Tournament October 13-19 at club venues on Hilton Head Island and in Bluffton. CCC chairman Stan Abrahamson said he expects an even bigger turnout this year, partly due to the new courts at Sun City and Palmetto Bluff. Tourney targets cure for breast cancer. Realtor Christine Massey enlisted in the Susan G. Komen for the Cure campaign to beat breast cancer 11 years ago. The golf tournament she organized raised $500 in it’s first year and now more than a decade later, the tourney has raised more than $100,000 – ranking it among the top three percent of rally fund-raising clubs. “We’re just very proud of how we’ve gone about doing this,” she said. Massey invites women golfers to join this year’s Rally for the Cure Golf Tournament, September 23, sponsored by the Women’s Golf Association of the Golf Club at Indigo Run. ‘Tis the season…for football that is. The South represents many things to many people. Some say it is characterized by sweet tea, shagging and football. 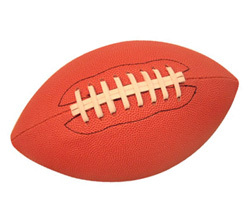 As the summer comes to an end, and you begin to pack away your beach chairs and towels, don’t forget to pull out your tailgating and football fan gear because football season has finally arrived in the Lowcountry! Although you’ll have to travel out of state to attend an NFL game, you can spend Friday nights scouting out local talent at a high school game or head to your favorite sports bar to cheer your team on. Local high schools are gearing up for a great season this year. Bluffton High School has been working on both sides of the ball, and their seven returning starters on defense will help them fend off opponents. Hilton Head High School only lost three starters from last year’s offense and they are hoping to make it back to the playoffs this year. 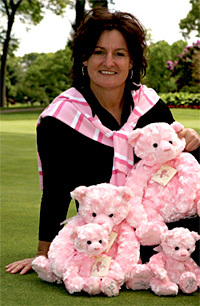 LPGA Pros in the Fight to Eradicate Breast Cancer take to Daufuskie’s Haig Point on September 22. The LIFE (LPGA Pros in the Fight to Eradicate Breast Cancer) in the South event, hosted by the Val Skinner Foundation, will take place September 22 at the Haig Point Golf Club on Daufuskie Island. LPGA pros scheduled to participate include Hall of Fame members Beth Daniel and Nancy Lopez, and pros Laura Diaz, Christina Kim and Brittany Lincicome, among others. A clinic, titled LIFE’s Lessons, will be offered to sponsors who are still learning to play golf. This clinic will be hosted from 11 a.m. to 12:15 p.m. by former US Open and LPGA champion Jane Geddes and South Carolina Teacher of the Year Krista Dunton. 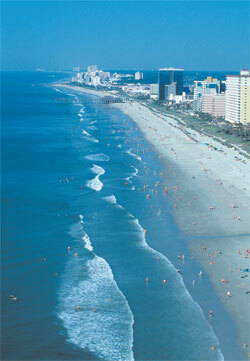 Myrtle Beach offers much more than just great golf. The Pavilion may be gone, but the jewel of the Strand is still Grand, especially if you play golf. Myrtle Beach has been referred to as “Golftown USA,” “Golf City USA” and the “Golfing Capital of the World.” And for good reason, with 103 golf courses to play, this area along Highway 17 is a slice (no pun intended) of heaven for golfers. 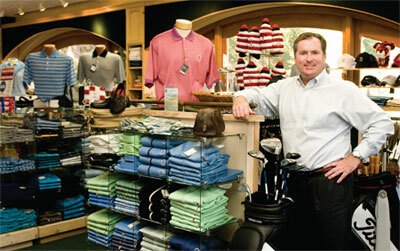 Mickey McCamish, president of Myrtle Beach Golf Holiday, points out while there are fewer golf courses in the area than previous years, due to the adjustments in the industry, the number of public courses still surpasses other popular golfing destinations. The Verizon Heritage continues to define Hilton Head Island. Since 1969, the PGA Tour has been coming to Hilton Head Island to test the world’s best players at the Harbour Town Golf Links, a Pete Dye masterpiece that the golfing community has claimed as the birthplace of the modern golf course. It’s a perfect fit to the state that was the first to recognize the game of golf, dating back to 1786 with the South Carolina Golf Club in Charleston, and the traditions of the game of golf are alive and well at Harbour Town. The golf course was the central focus of the Sea Pines development and was the vision of Charles Fraser, the mastermind behind Sea Pines and the development of Hilton Head Island. He wanted the world to know that South Carolina was the first state to recognize the game of golf, and Fraser wanted a course that would complement this piece of history. He relied on the wisdom of Jack Nicklaus as a design consultant, and hired at the time the relatively unknown Pete Dye as the main architect. The idea was to produce a golf course that was reminiscent of the old courses of Scotland, complete with small, undulating greens and unforgiving greenside bunkers known as pot bunkers. The final product was a course that embraced the old traditions of golf course design with a progressive, modern edge that stood apart from the courses in the United States at the time.